Writing an essay about anything is one of the most difficult things that is done in school. 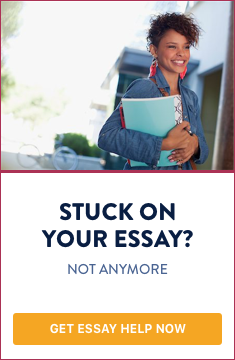 Good thing there is such essay writing companies like SolidEssay.com that have not only a reasonable price but can also assure quality writing, everything that they write for their customers is unique and original. SolidEssay.com is an essay writing company that has been operating for more than a decade now and still continues to provide writing services for their clients. SolidEssay.com offers a wide range of custom writing services (essay writing, term paper and research paper writing, article critique, case study analysis) as well as editing and proofreading. Our company can also provide book reviews and/or reports, movie reviews, lab reports, presentations, and a lot more. When you seek the help of an essay writing company to handle essays and other academic papers, make sure that the content is not recycled. At SolidEssay.com, this would not be a problem. Our writers are skilled on their own field of expertise. Each writer would write an essay order using properly researched information and outstanding writing skills. Once done, our top experts will have the entire essay checked through specialized anti-plagiarism software to avoid copied content. Proper citations are also made when an entire statement needs to be pointed out. This alone can help you ensure that your paid essays are only intended for you. Your essays as well as other college papers are not handled by some rookie writers, all of them are professionals that have been in the essay writing company for a long time. We value our clients and take pride on the quality of our service. We provide additional services like revising, outline creation, etc. free of charge. Apart from that we offer huge discounts to our returning customers; in fact a first time customer is already entitled a 20% discount. When you decide to use our custom writing services, you get to specify the duration of the order, you do not have to worry about getting your essays delayed, the chances of that happening is close to zero. We ask the client to fill out an order form, by providing all details like subject, possible contents, duration, and number of sources. New users or clients are then asked to create an account, while regular clients can simply sign in. We then processes your payment and the order is being assigned to a professional writer. Completed paper become available for download and a notification is then sent to the client. SolidEssay.com is indeed the best essay writing company that exists and still continues to operate successfully by assisting our loyal customers.